Group One winner I Am A Star is nearing a return in the Aurie’s Star after a lengthy lay-off. The Aurie’s Star Handicap at Flemington will be the starting point for Group One winner I Am A Star who has been off the scene since last spring. The 2016 Myer Classic winner has not raced since finishing last in her defence of the Group One fillies and mares race at Flemington in November. Trainer Shane Nichols aborted her autumn campaign and the mare, who has been back in work since June, had a jump-out at Pakenham last week. “We had some issues in the autumn where she just didn’t come up,” Nichols said. “She had a splint that was developed and she had a little bit of an issue with her feet so we elected to stop and give her a break. “She had a trial last Wednesday at Pakenham on the synthetic track and she’ll probably trial again on Monday week at Cranbourne, weather permitting. The Group Three Aurie’s Star (1200m) is on August 11 and Nichols plans to progress into the spring with a Group Two race she won last year a target. “She’s going to get 57 or 58 kilos in the Aurie’s Star which is probably above her desired weight range but it’s just a nice place to tee her off for the start of the preparation,” the trainer said. “It really doesn’t open up for her until she gets out to a bit further at her third run in. 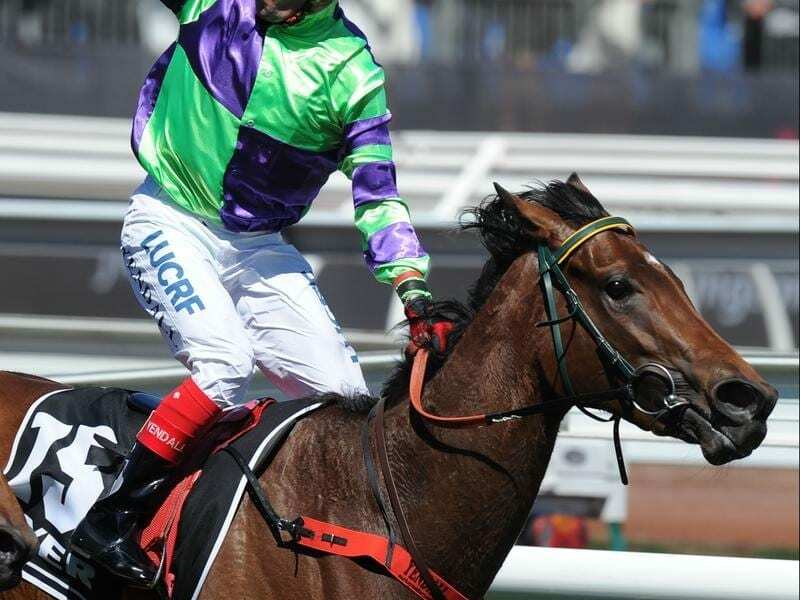 I Am A Star’s only win last spring came in the Group Two Stocks Stakes (1600m) for mares at Moonee Valley and Nichols plans to give the rising five-year-old another crack at that race. “She’ll probably head towards the Stocks Stakes and then she might run in the Toorak or the Myer Classic,” he said. “She does like to get down in the weights but against the boys at weight-for-age in the Memsie and races like that, they’re just a little bit strong for her. “But I’m really happy with her and she’s going well. “Around the Valley at the mile she has won the Sunline Stakes and the Stocks Stakes.